On the outskirts of South Pelion, at 310 meters’ altitude, lies the village of Lafkos. Its history starts somewhere in late 15th century with a tradition of centuries in customs. 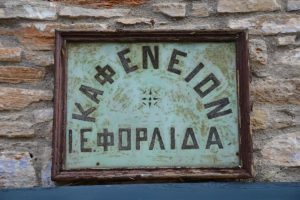 There are several points of view as regards its name, one of which mentions that it comes from the word “glafkos” which means clean and bright. Access is easy at 48 kilometers from the city of Volos. It is built on the edge of a very steep slope, gazing from a privileged position Milina’s bay, the desert islands and the narrow passage of Pagasitikos. There is no traffic in Lafkos, since the old houses and narrow streets have been preserved. You can park in one of the three parking lots and walk around the beautiful neighborhoods that spread around, away from the noise of vehicles and the heads of hasty passengers. Then, you will surprisingly realize that they belong to foreigners who have meticulously renovated them in order to preserve the traditional character. Green mountains, pure oxygen and smiling people are only a few of the first images and sensations one can experience from the very first minutes. The village is ideal for unlimited rides, accompanied by scents of nature and smells from local kitchens. Going down the cobblestone streets, you will see the impressive stone streets, old stone mansions, old stone fountains and there are numerous paths that connects Lafkos with the surrounding villages. The ideal combination of mountain and sea, the beautiful natural landscape coated with its typical colors every season, the blue water and stone paths make Lafkos an ideal destination throughout the year. In the large paved square, one of the largest squares of Pelion, shaded by big plane trees and old cypresses, there is the town hall, while taverns and cafes spread their tables. The streets leading to the traditional neighborhoods radially extend from this point. At the edge of the square stands the basilica dedicated to Virgin Maria (19th century) while right next to it, there is the museum where Thanasis Fabas, painter and sculptor, exhibits his sculptures of white marble from Pelion. Going down the market path, you will see the small shops of Lafkos, the grocery store, the wooden oven and the old cafes. What is so special about this village that has brought within the last years numerous foreign visitors and artists who have bought and renovated many of its stone houses? –It is very beautiful with blooming yards and old paths that invite you to discover them, fresh air, green everywhere and view to the sea. Worth a walk all over it. There are three mini markets, the traditional wooden oven of 1904 designed by De Kirko, five taverns, each of which offers unique tastes (ckichpea soup, bompari, batzina, spentzofai, origan meatballs etc. 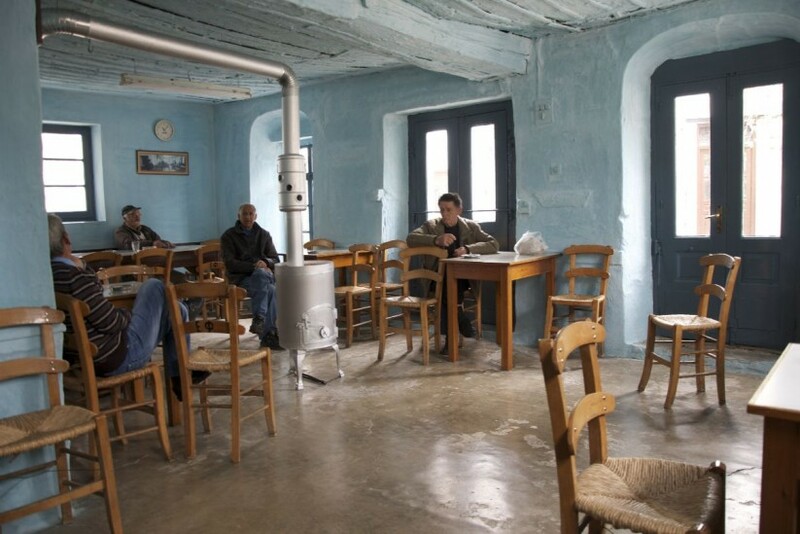 ), the traditional café of the village and one of the oldest cafes in the country, which operates since 1785, as well as bars for drinks and cold dishes. There are pharmacies in the villages of Promiri (6 km), Milina (5 km) and Argalasti (9km), while there is a Health Center in Argalasti (9 km), as well as an ATM.